Please note that this is the last Connect of the school year. We will check in with an issue of the Connect halfway through the summer and will begin next school year's volume in mid-August. For this week's Superintendent's Corner, I'm not sure where to begin or end, as it has been a whirlwind and continues to be even as I'm writing this. It all started on Sunday with the graduation of the Class of 2018. This is always the highlight of the school year. Other culminating events this week included a Rotary scholarship banquet, the Grade 8 Promotion, and several award ceremonies. Yesterday, I got to watch our baseball team play at Miller Park. Later today, I will be heading to Madison to watch our softball team play in the state tournament. We will be saying goodbye to six of our educators who will be retiring from Whitnall. Our Whitnall community thanks each of them for their service to the district and its students. Please look for the upcoming Whitnall Window in which we recognize these educators. There were so many wonderful and exciting events that occurred over the 2017-18 school year that it is hard for me to mention them all, but the community support to pass our referendum ranks near the top. We are busy meeting with our architects, making plans to begin construction next school year. Please check our summer communications and website for updates on our projects. I wish each and every one of you a summer that is both relaxing and action-packed. Please be sure to follow our social media accounts over the summer for updates and news! See you in August! Whitnall Summer Theatre - Still Accepting! Click here for the flyer and here for registration! Email Tom Weissgerber by June 15, if interested. Please read this letter , which details important health information, including immunization requirements and changes to medication forms. On June 11, the Hales Corners Library is having their Summer Reading Program Kick-Off Party. Click here for more info! ​ Interested in the items being considered at the next board meeting? Check out the board agenda for June 11 on our Agendas & Minutes page . Summer school schedules have been set and are viewable in your Infinite Campus Portal. Summer school fees are now due. Please pay them online through your Infinite Campus Portal or send a check to the Whitnall School District Office. Online registration has closed, so at this time please request registration by contacting Rene Freyer at rfreyer@whitnall.com or 414-525-8414. Late registration will be on first-come, first-serve basis. 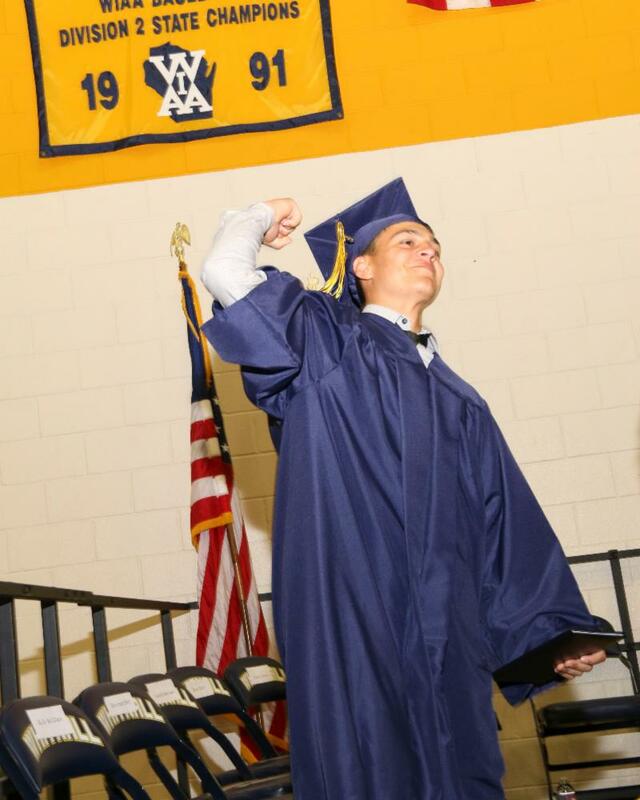 Families of graduates: To preview/purchase individual pictures from the graduation ceremony, go here: https://bit.ly/2sGChJG . For incoming 9th grade students: Freshman Academy summer school registration is still available. Please contact Mr. Tollefsen or Mr. Relich to sign up! The transition day for incoming 6th grade students will be on Wednesday, August 29. All 6th grade students will have school from 7:55-3:00 that day to learn about middle school life. Buses and lunch will be provided, just like a normal school day. Families of incoming 6th grade students will receive information about this day in the upcoming weeks. Any spring testing reports were sent home in your child’s take home folder. Please make sure to check for that information. If you have any questions regarding these reports, please email your child’s teacher. Please visit the Whitnall website for all the information you will need for the EES summer reading program. Here is the link - Summer Reading . We look forward to seeing you at the three summer reading evening events. Also, be sure to visit the Hales Corners Library and sign up the kids for their summer reading program. Happy Reading! Plan to make summer reading a priority. You can sign up for the Hales Corners Library summer reading program on Monday, June 11 from 10:00 AM to 8:30 PM. Also, HCE is hosting summer reading family programs on our playground on June 20, July 10, and August 9. Please see the flyer that is linked HERE . As the school year ends, we are busy planning for the 2018-19 school year. Our year long theme will be shared in the fall. In order to prepare, we are requesting that each student purchase a t-shirt that will be worn on special days throughout the school year. The t-shirt will have our theme printed on it and then students will be tie-dying the color in early September. The cost will be $2 per student. You will receive an email with the sign up form in early July.